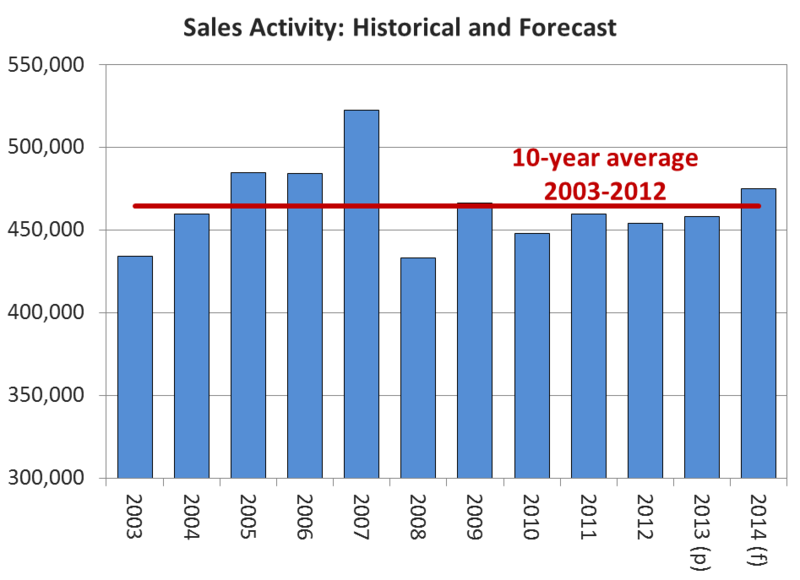 The Canadian Real Estate Association (CREA) has updated its forecast for home sales activity via the Multiple Listing Service® (MLS®) Systems of Canadian real estate Boards and Associations in 2013 and 2014. TheBritish Columbia Real Estate Association (BCREA) reports that a total of 5,490 residential sales were recorded by the Multiple Listing Service® (MLS®) in BC during November, up 17.3 per cent from November 2012. Total sales dollar volume was 36 per cent higher than a year ago at $3.06 billion. The average MLS® residential price in the province was $557,586, up 15.9 per cent from November 2012.